Meliá Hotels International reported its annual financial results for 2011. Underlying EBITDA of the hotel division grew by 12.5 percent, while another key indicator, the revenue per available room (RevPAR), increased again with seven consecutive quarters of growth, achieving an increase of 9 percent overall in 2011. The RevPAR penetration rate improved in key cities including Madrid, London, Berlin, Paris and Milan. With a strategic focus on Asia, Latin America and European cities, Meliá Hotels International has an active pipeline of 31 hotels and added 20 hotels (5,056 rooms) in 2011, approximately one new hotel every three weeks. The company currently has 354 hotels in operation or in the pipeline. By brand, Sol Hotels (100 percent Spain and resort) increased RevPAR by 19.1 percent, thanks mainly to the results in the Balearic Islands (up 26.7 percent) and Canary Islands (up 20.1 percent). The TRYP by Wyndham brand (urban, 76 percent in Spain) saw RevPAR increase by 4.1 percent and began to benefit from the internationalization of the brand through the MHI alliance with the Wyndham Hotel Group. Meliá Hotels & Resorts increased RevPAR by 4.2 percent, 6.2 percent excluding city hotels. 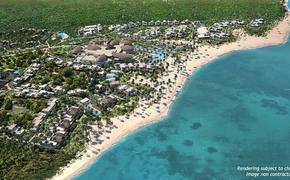 The "Premium" brands (Paradisus, Gran Meliá and ME by Meliá), with 81 percent of its portfolio in the Americas, reported an average increase of 9.8 percent in RevPAR, underpinned by hotels in Puerto Rico, Venezuela, Mexico and the Dominican Republic, and marked by a strong duality between the demand from the U.S. and Canada, which grew by 9 percent and 12 percent, respectively, and the Spanish market which contracted by 14.7 percent. The global financial situation in 2012 will continue to drive uneven business development across regions, with weakness in the southern economies in the euro area offset by a stronger performance in Asia and Latin America-Caribbean. Macroeconomic indicators and confidence indices point to a more positive trend than expected in the hotel business in the U.S., Japan and Germany, and globally MHI expects a single-digit increase in RevPAR for the year.